This was a tough shot as the client wanted some really skewed/intense perspective, but was really fun to execute. Basically, the idea is to show Gypsy getting smacked by the recently risen mega kaiju. Here is the first keyframe I worked on at ILM more than 2 years ago now (wow time flies!) a fun shot of Hibagon vs Gypsy. We sourced this artwork from his ArtStation page. Thanks to Alex Valdez for the link! 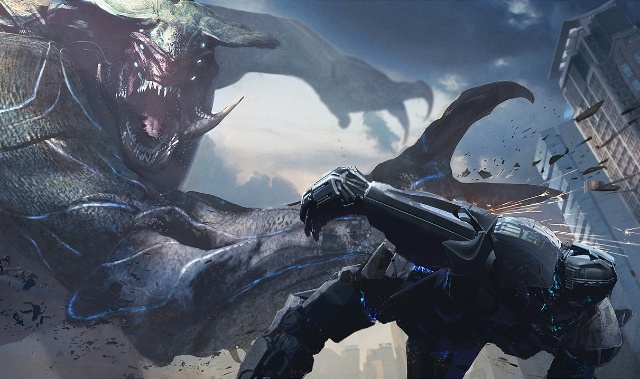 0 Fan responses to Pacific Rim Uprising Kaiju and Jaeger concept art!